I’m so glad you have joined me on this journey of love+grace. I hope to share my love for diy, crafts, travel, cooking, hiking, all things vintage and most of all, my love for God. Joie de vivre! If you’re like me, wrapping gifts is just as fun as shopping for that special someone! But, holiday gift wrapping doesn’t have to be time consuming. Start by selecting a theme for your gift wrap. Using similar styled paper will create a unified look throughout your gifts. Create a simple and stylish tag using a stamp. There’s a variety of festive options at your local craft store, along with pre-cut tag shapes to add beauty to your gifts. Choose ribbon, yarn or twine to secure the tag and accents that will add that special touch. I’ve used sprigs of holly or even small branches from my Christmas tree. This year, I selected bronze jingle bells, burlap ribbon and twine to add a vintage charm. Plus, a few springs from my potpourri bag and the gifts look beautiful! Then, just handwrite the to and from directly on the tags. It’s officially fall, but still hot in Texas! Now that the nights are starting to bringing a chill, having fun, layering go-to scarfs in your wardrobe is perfect this time of year. 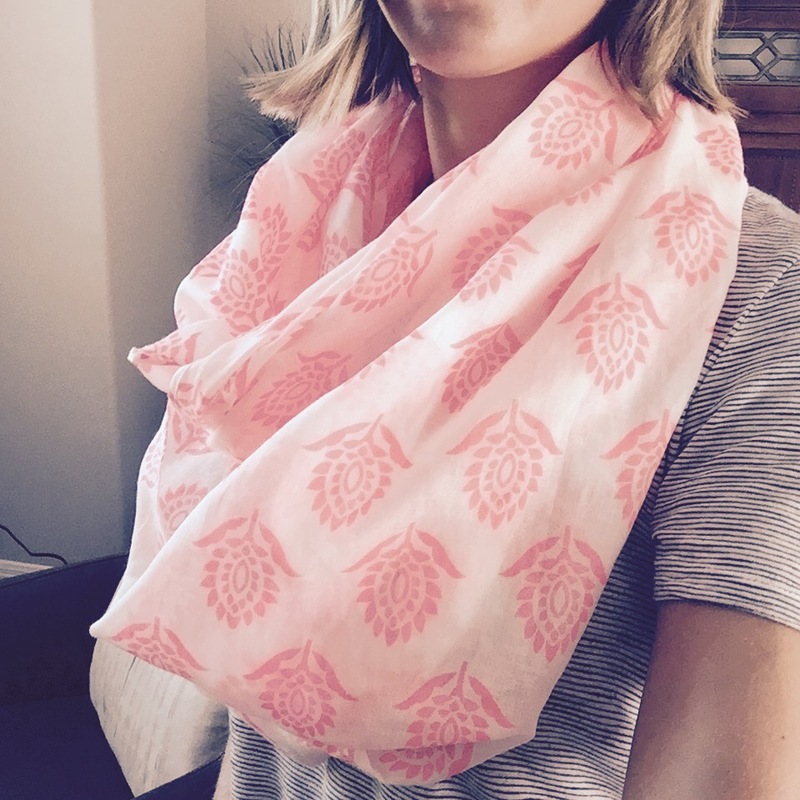 I picked up some light-weight, gauzy fabric with my Mom a few months ago and thought it would be lovely for a simple infinity scarf. Supplies: 2 yards of light-weight fabric, thread, scissors, pins and an iron. 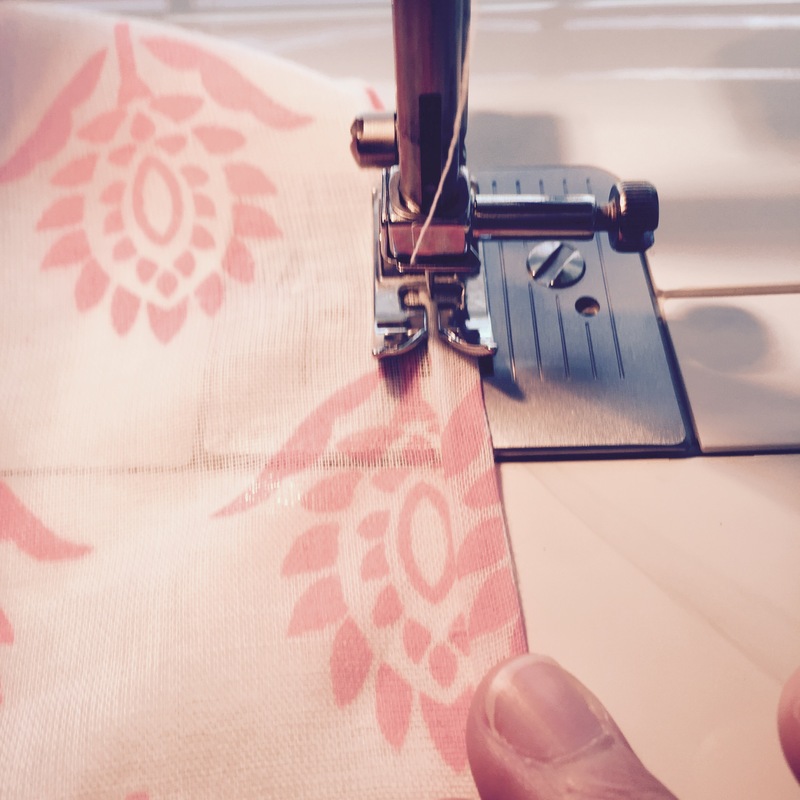 Begin by cutting your fabric along the long-edge. Then fold the fabric in half (again along the long edge), place the right sides together and pin in place. Since we will want to hide the seam, we will create a french seam. 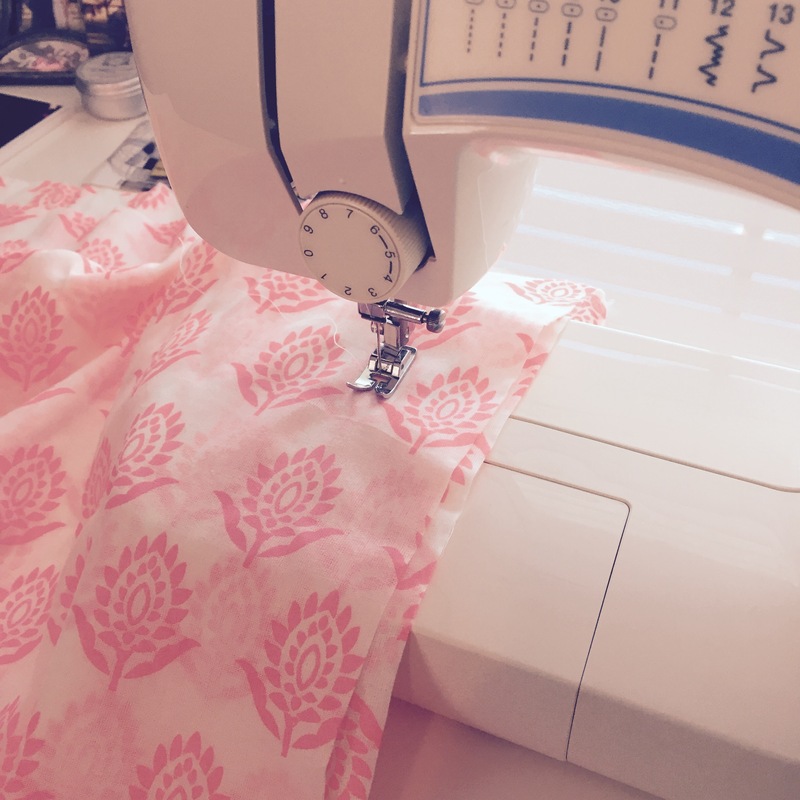 First, sew a 1/4″ seam allowance. Then, trim the seam allowance down to 1/8″. Press the seam to one side. Then turn the fabric so the right side is facing out. 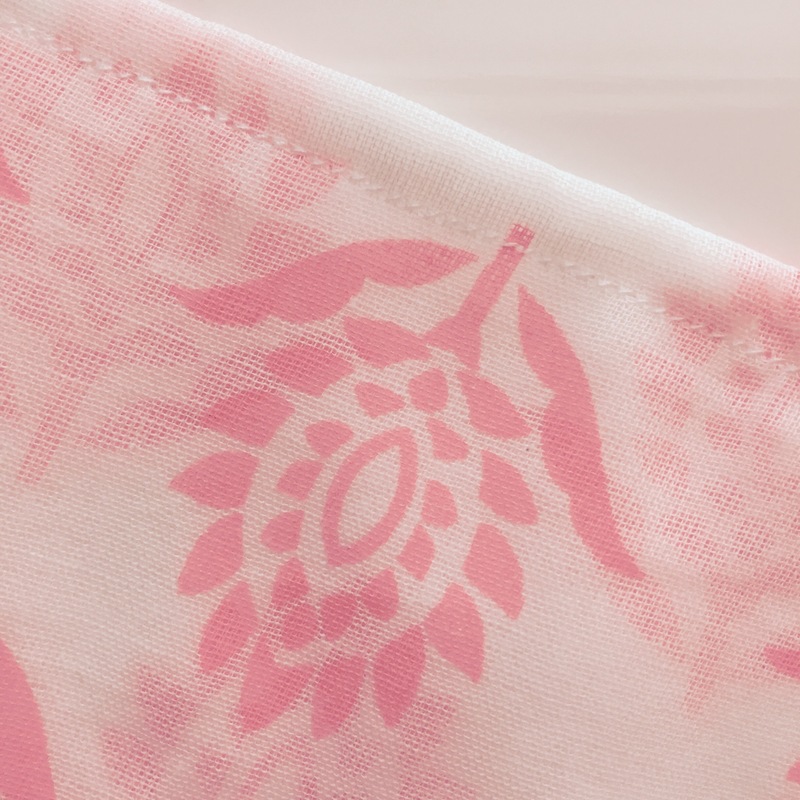 Now, sew along the same edge again, this time with the right side up at a 1/4″ seam allowance. This will trap the original seam and allowance in the fold, creating a beautiful, seamless edge. Now, just just sew the outer edges. You can add a decorative edging with pom-pom ribbon or keep the edges clean and simple by sewing at 1/8″. Wash and you are ready to enjoy the cooler temps! Autumn is nearly here! And, with gatherings and guests around the corner, you may be looking for an easy diy table arrangement. 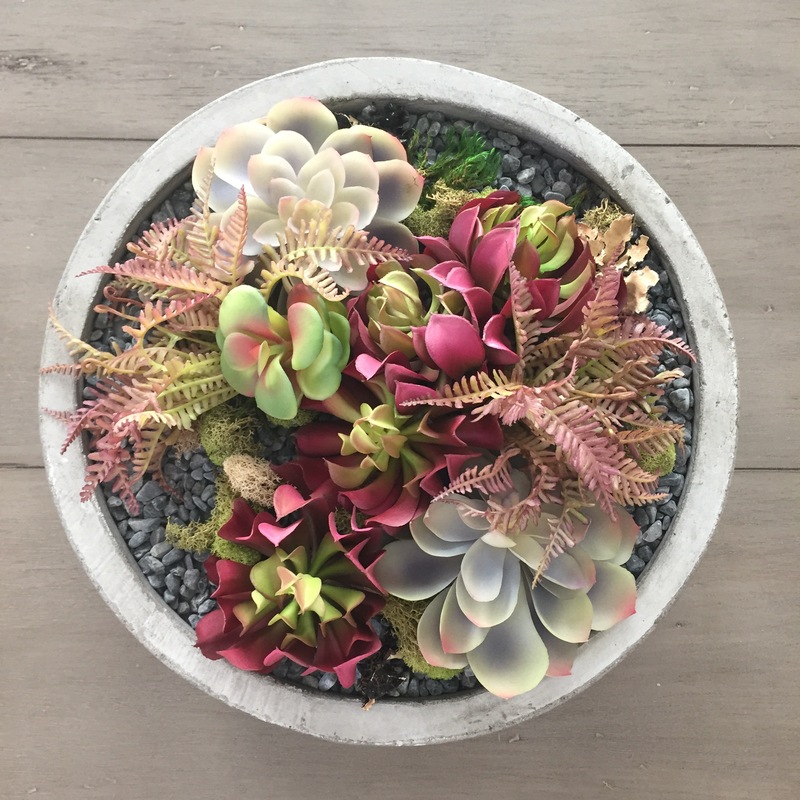 While I love real succulents (and believe me we have plenty on the back patio) making a faux table container is simple and easy to switch out for your upcoming holiday get-togethers. 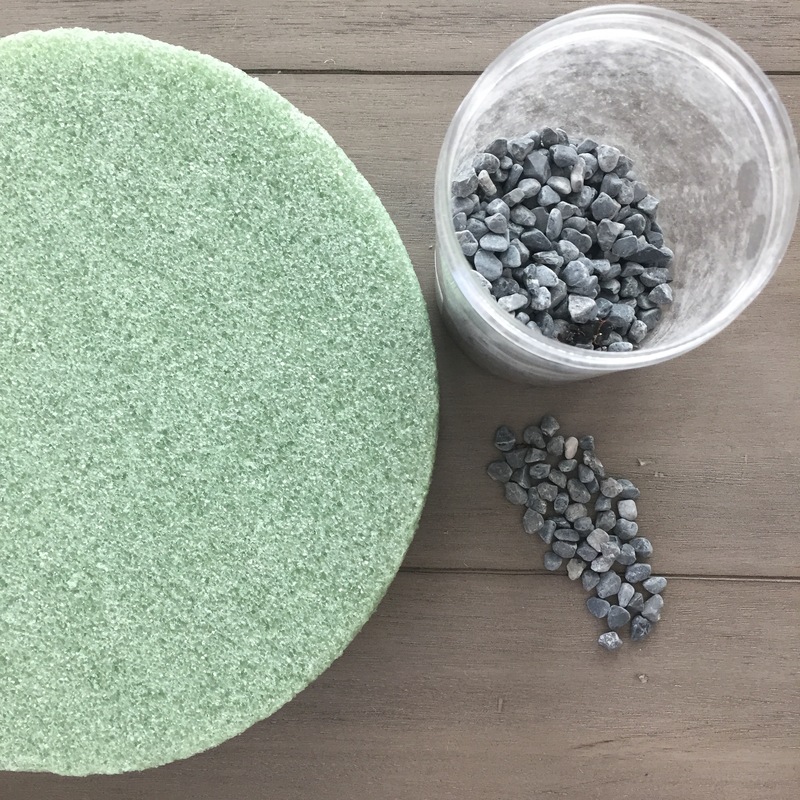 Supplies: container, syrofoam insert, batting, 15+ faux succulents, pebbles and moss. No glue required! Start with selecting a neutral container that will work with your seasonal changes. 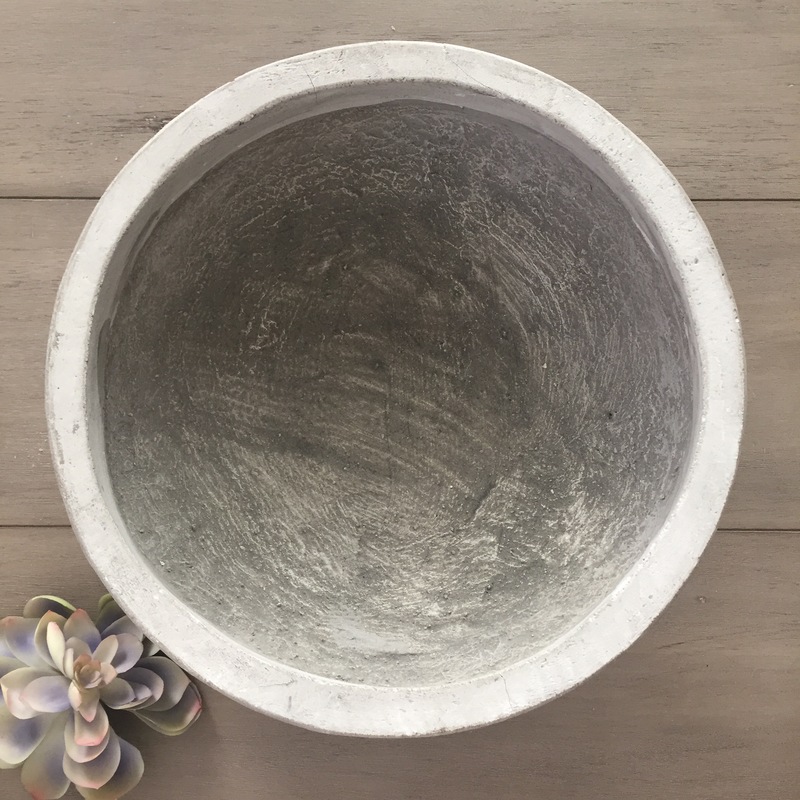 I love Magnolia Market’s cement bowls. I received them as a gift last year and they look lovely on our dining table. 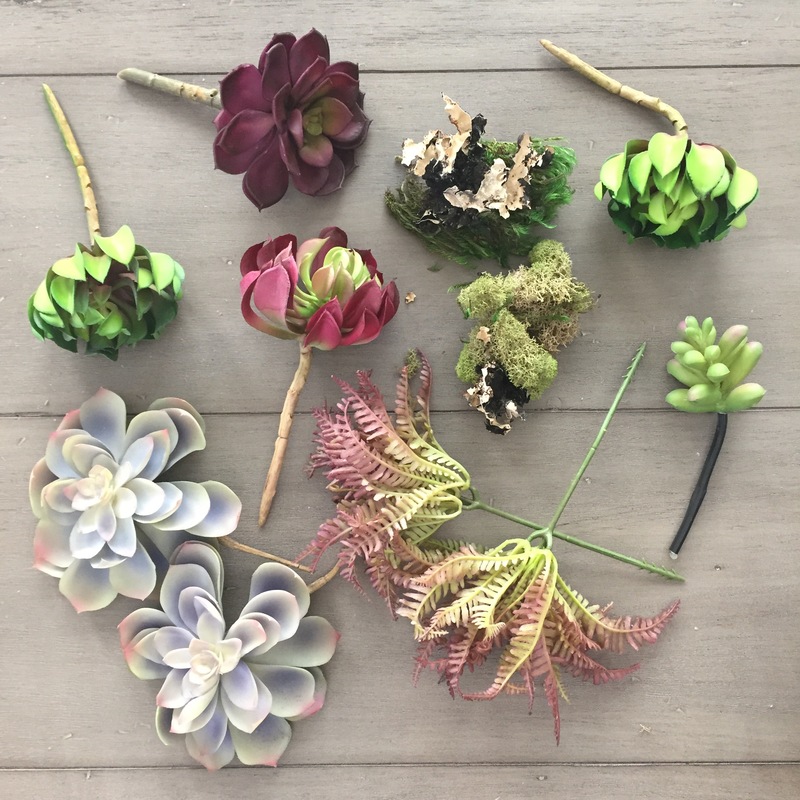 Pick up a variety of succulents at your local craft store. I found a good variety of sprigs at Michaels and purchased about 15 for each container, along with a piece of styrofoam, batting and pebbles. I also included a little moss I had from another project. The best part is you can do this arrangement without any gluing, so everything can be easily removed from the container for a new arrangement. First, place your styrofoam in the base of the container. You may need to cut to fit. Then fill in any gaps or edges with batting to create a flat base for your faux succulents. Now have fun arranging! Starting in the middle, begin gently pushing the succulents into the styrofoam. Vary colors and styles to creating layers and interest throughout the arrangement. Fill in any gaps with pebbles and moss. And in no time you will have a lovely succulent container for your dining table! Target is my go-to for all things, especially greeting cards. I’ve found some of the sweetest and cutest cards (and plenty of other items make their way into my cart!) But this Easter, I just couldn’t find that oh-so-special card so I decided a quick design would be perfect. If you haven’t ventured over to Creative Market yet, you are in for a real treat. The site is full of beautiful fonts, all sorts of templates and some really amazing photographs. I downloaded the Beverly font for my Christmas gift tags and thought it would be a perfectly sweet choice for Easter cards too. I created a simple design with one of my favorite verses and printed it with black ink on my extra Christmas card stock (but you can use any cardstock for this). Then, I added a little bow with pastel baker’s twine and voila – it’s ready to mail. Simple, yet beautiful. Enjoy a free download of the 5×7 card I designed here: Easter Card Template. Wishing you a Happy Easter! I just got home from an amazing run in our new hometown of #ATX. I was excited to see a package waiting by the door. I love surprise and inside was such a lovely surprise. My sweet friend Erika sent me personalized scripture cards. Oh how amazing she is! Erika’s words of encouragement and prayers are exactly what a friend needs, and it is a gift to know both her and God know everything I’m going through. These cards are so beautiful I had to share them! If you love a daily inspirational message, sign-up for Erika’s encouragement emails here. And, Mary’s personalized scripture cards are available here. It’s been a whirlwind start to January as Richard and I made the decision to relocate to Austin! We are so excited about this next step in our journey and are looking forward to finding our new home. Of course we have a lot to do with packing and moving in just a few weeks. Since we will be living in an apartment temporarily, and I’m wanting to store some of our things to avoid having to pack twice, I’m using a colored sticky note system to keep things simple and organized. This may come in handy if you need to store items during your move or just to keep the process of unpacking stress-free. I started with a marker and stack of sticky notes. I’ve designated each color with our moving needs – orange [storage]; green [kitchen]; pink [bedroom]; blue [bath], etc. So there are a couple of ways to tackle staying organized with your box labeling. Here, I’m using a keyword on each box with the color system above. I’ve also noted a number on the sticky note. The lower numbers will be the first items I pack [i.e. things I won’t need right away] and the larger numbers in the system are boxes I will unpack first. You may have a mix of items in your boxes and need more detailed list. For that, simply use the sticky note color system but just indicate a number on the box. Then use a notebook to list more details on the items contained in the box. All that’s left is attaching to the top and side of the box for an easy indicator on what’s inside and which room or area of your home the box needs to go. Happy moving – we will see you in Austin!